Last month the Greenville, South Carolina’s City Council passed an amendment to their stormwater ordinance that included the State’s first ban of coal tar pavement sealants. The area that includes Greenville is the largest population region of South Carolina with a population over 1.4 million. Greenville is the largest community in that combined statistical area with population is just over 60,000. The ordinance simply states that “the use of coal-tar sealcoat is no longer allowed” as described in the Staff Report to the Planning Commission in August. The ordinance itself says about the same thing: “the use of coal-tar sealcoat is prohibited.” The City confirmed that the ordinance went into effect immediately. This ban marks the 15th state in the United States to have a jurisdiction pass a ban within its borders. This may not be the easiest jurisdiction to enforce a ban. It is likely that the majority of sealant used in South Carolina is coal tar and to be successful, the City will need a thorough communications strategy for the community. Check out this previous post, A Worry-Free Guide to Implementing a Coal Tar Sealant Ban for some additional suggestions. 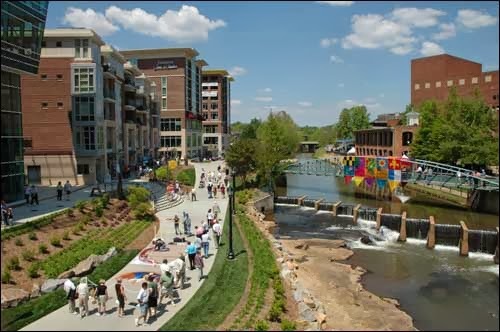 We applaud Greenville for its forward thinking and hope that this rule will have a positive influence on Greenville and the surrounding communities.